Bustling with modernity yet retaining some of its old world soul, Pune is a city quite like none other. And it is also incredibly close to the hearts of everyone at Team Elephant. Creating anything for this city which has given us so much is a matter of great pride for us. As an emerging global destination for business, technology, education and cultural exchange, Pune was fast on its way to becoming the place to be at. We decided to create an identity for our beloved city which would encompass its future-readiness along with its 400-year heritage. The identity needed to establish an instant connect to the city, while complimenting its ever-changing facets. One of the oldest known visual symbols of Pune, the coronation seal of Shivaji the great Maratha king, formed the basis of the identity. The shape of the original seal was used to create its foundation. Using the lettering on the seal, we created a similar typeface for Devnagri and English letters. 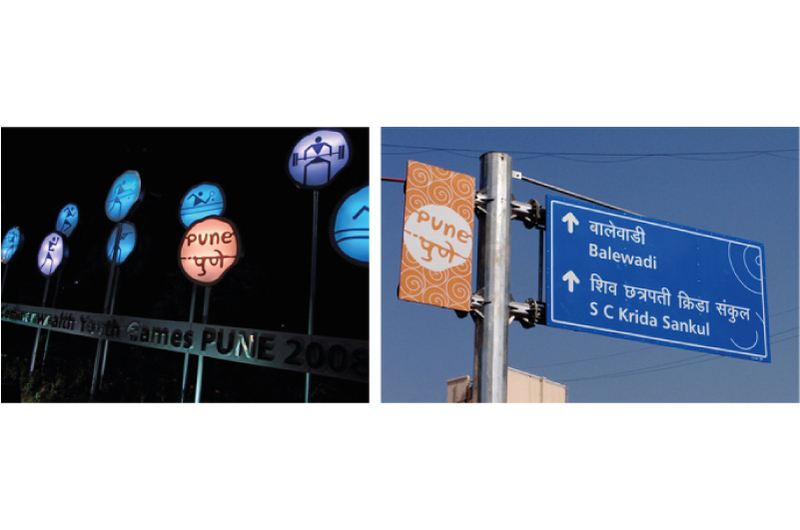 To communicate the unique history as well as its future orientation of the city, we decided to write “Pune” in both scripts. We released the identity as openly licensed, to encourage people to freely use it. In 2008, it was integrated into the brand identity and communication for the 3rd Commonwealth Youth Games which took place here. Today, it forms the symbolic unit for major city-based events. 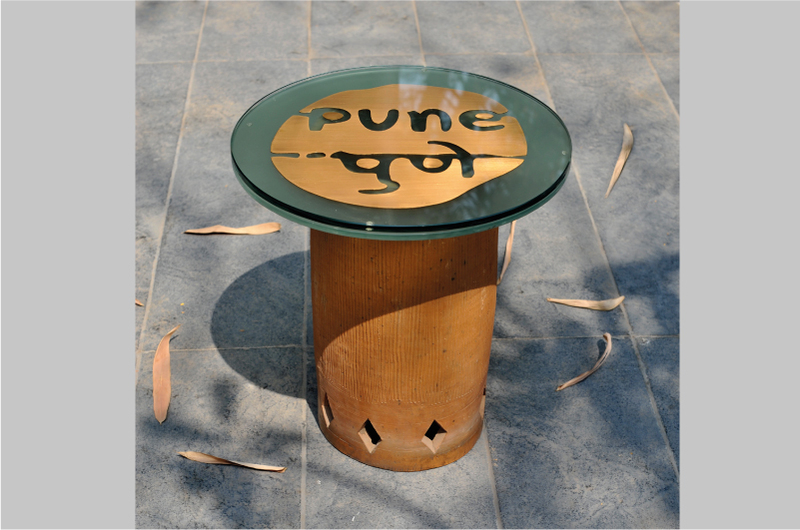 The identity has become widely recognised and strongly associated with Pune.